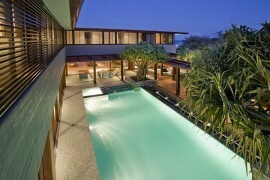 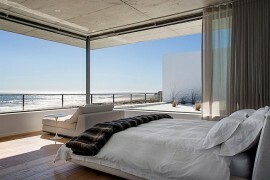 Modern beach houses have come a long way from being simple shacks that allow you to enjoy the sun and the sand. 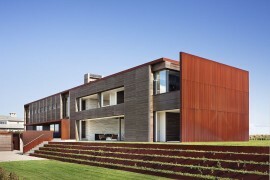 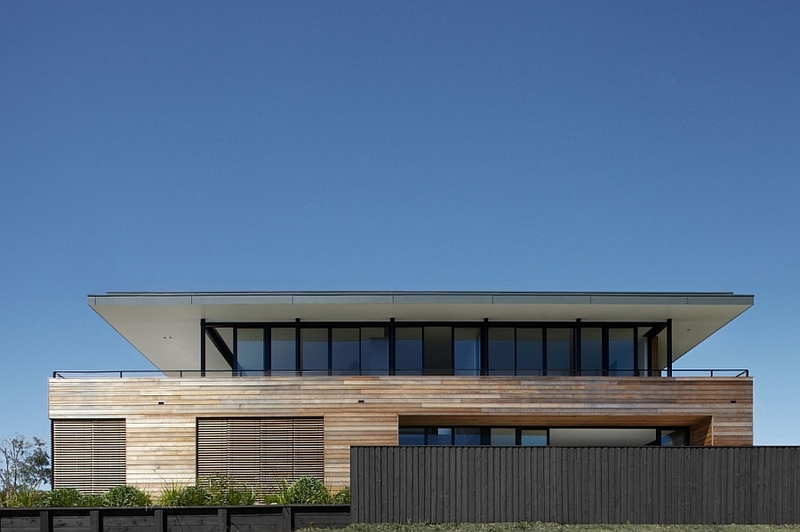 Nestled on the south coast of New South Wales and overlooking the famous Gerringong beach, this stunning house Down Under is all about becoming one with the landscape outside. 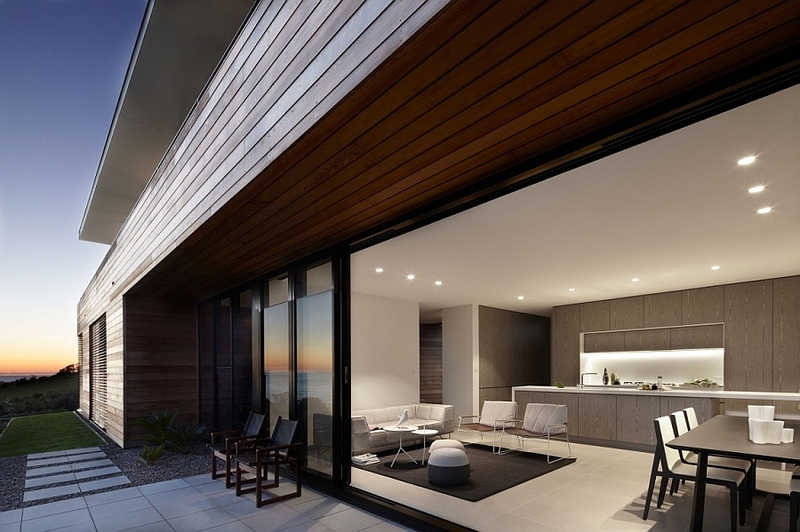 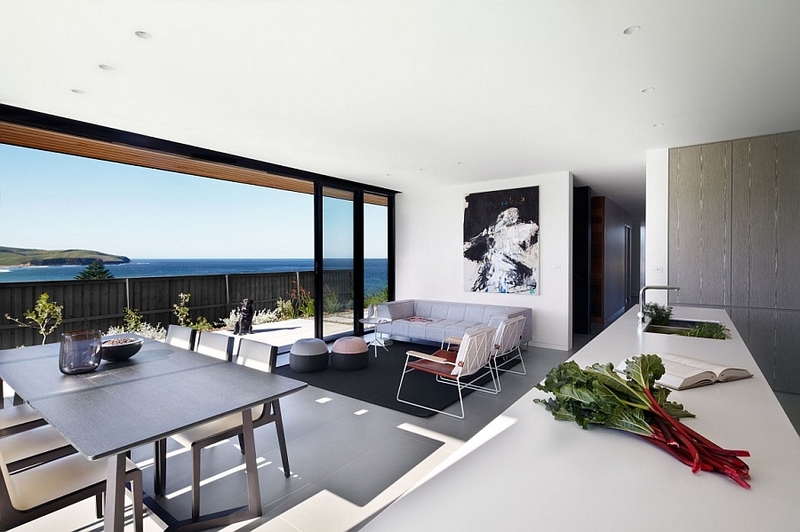 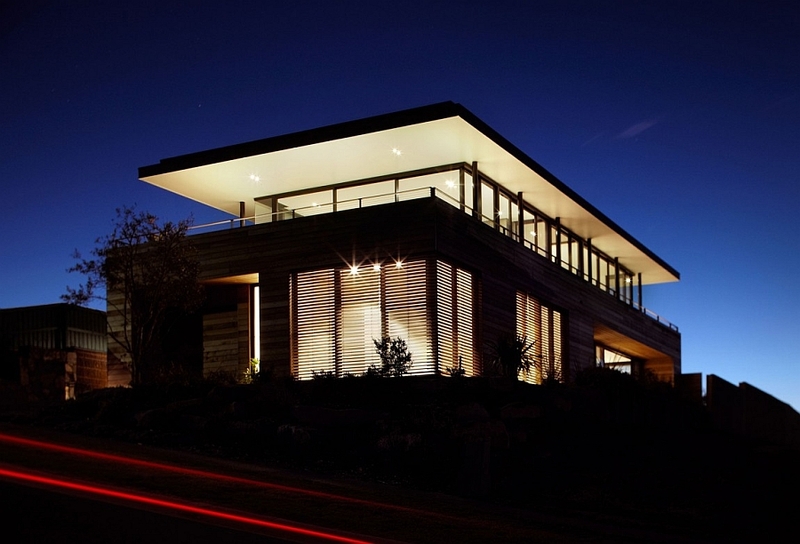 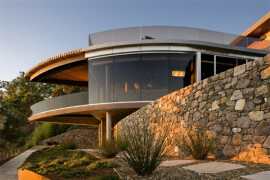 Designed with a sense of visual flair by Smart Design Studio, the Lamble Residence gives its denizens 270-degree ocean views along with a mesmerizing glimpse into the Great Dividing Range that lies in the distance. 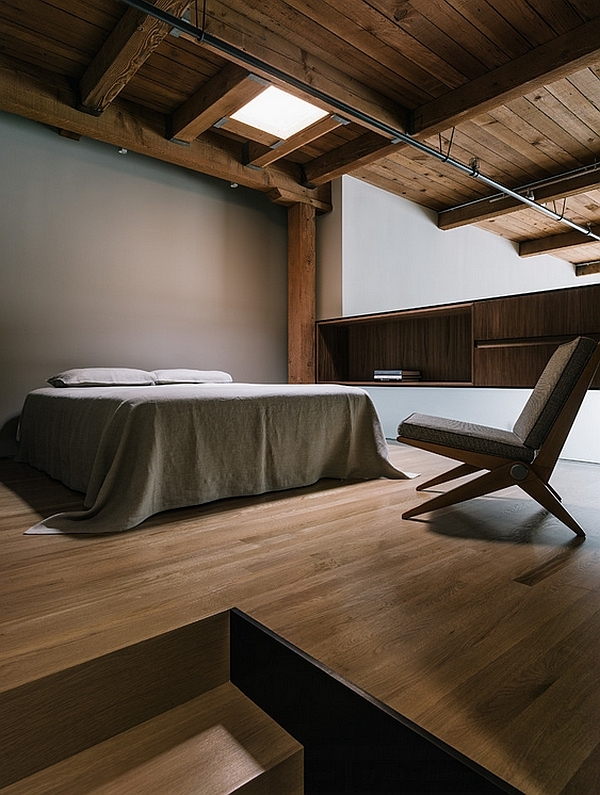 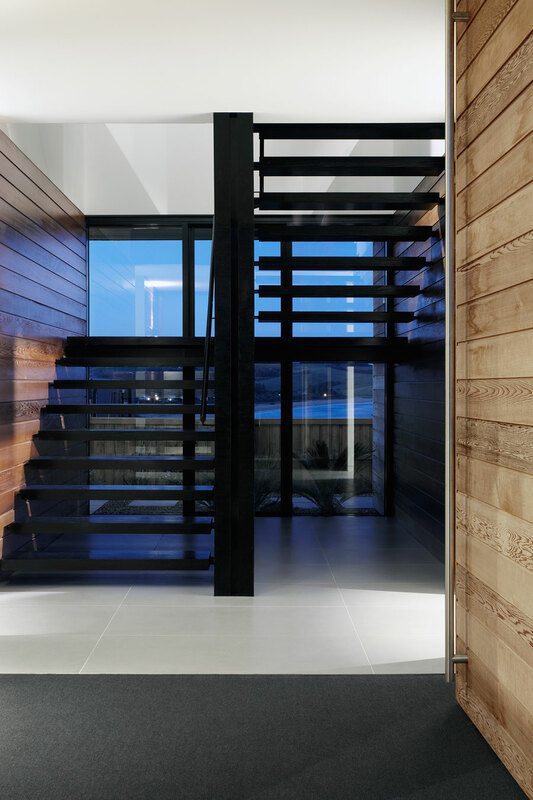 Featuring a unique exterior draped in wood and semi-minimal interiors that bring the beachy vibe indoors, this house allows you to relax in style. 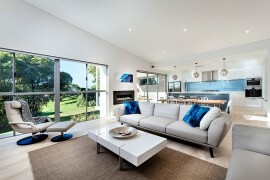 The main kitchen, family area, dining space and additional bedrooms are located on the lower level of the house, while the top level includes the living area, a second kitchen and the master bedroom. 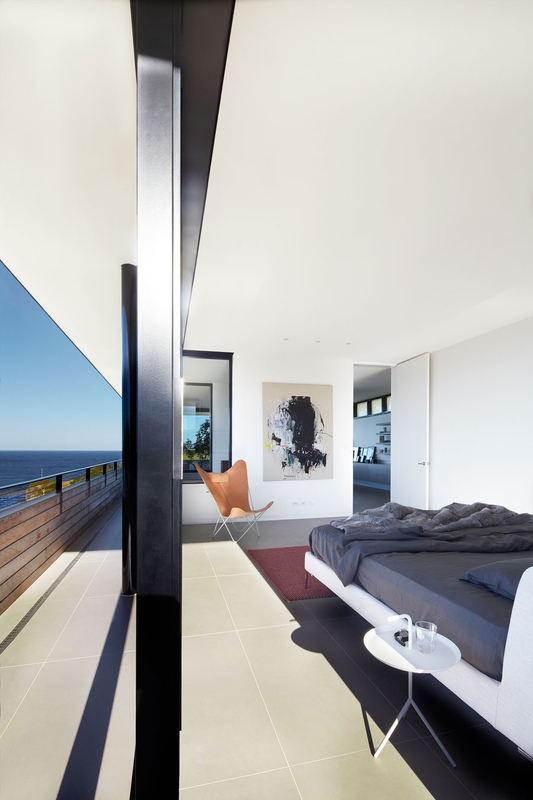 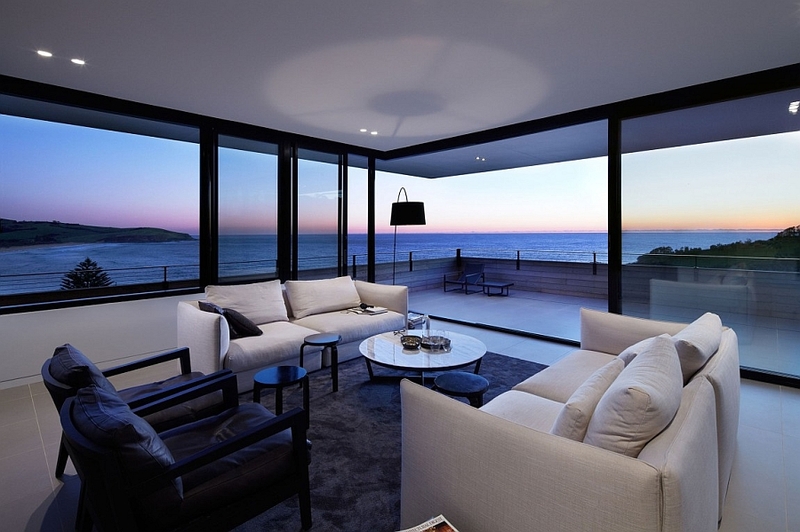 This means that pretty much every room in the house provides unobstructed views of the waves in the distance. 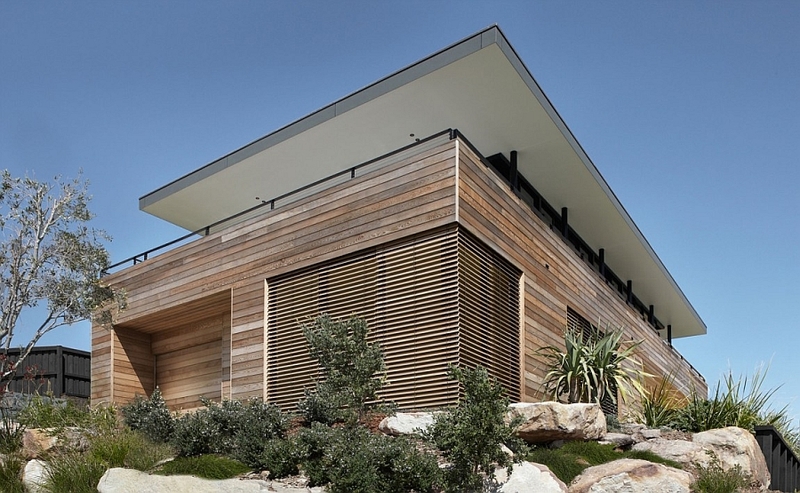 With the orientation of the home also allowing ample ventilation to flood through, there is never really a dull moment inside this sizzling beach retreat. 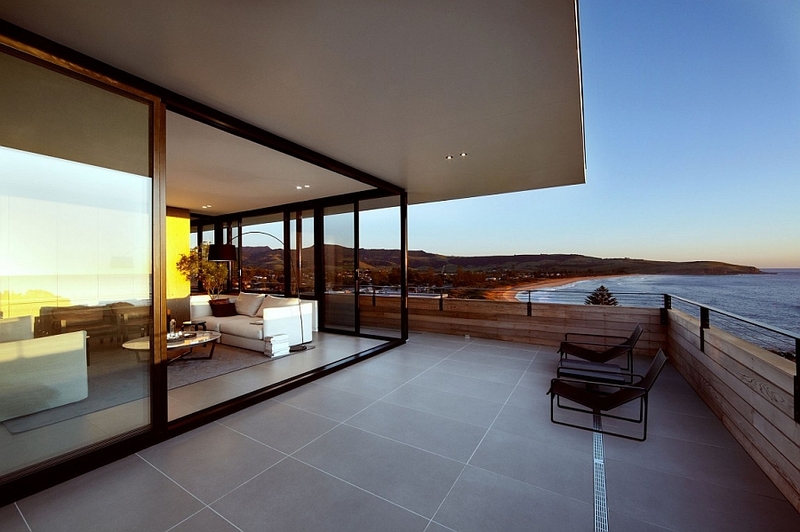 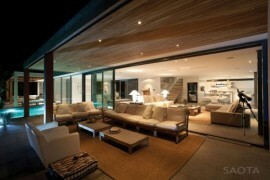 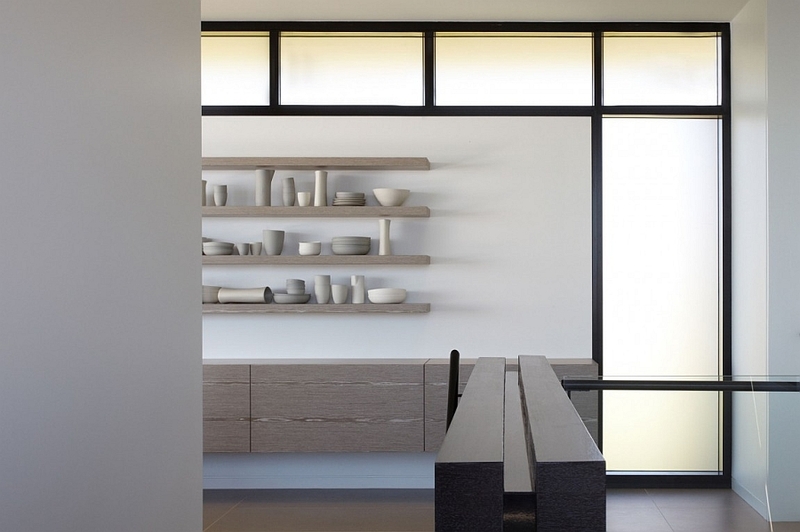 Large sliding glass doors and glass walls further enhance the openness of each space. 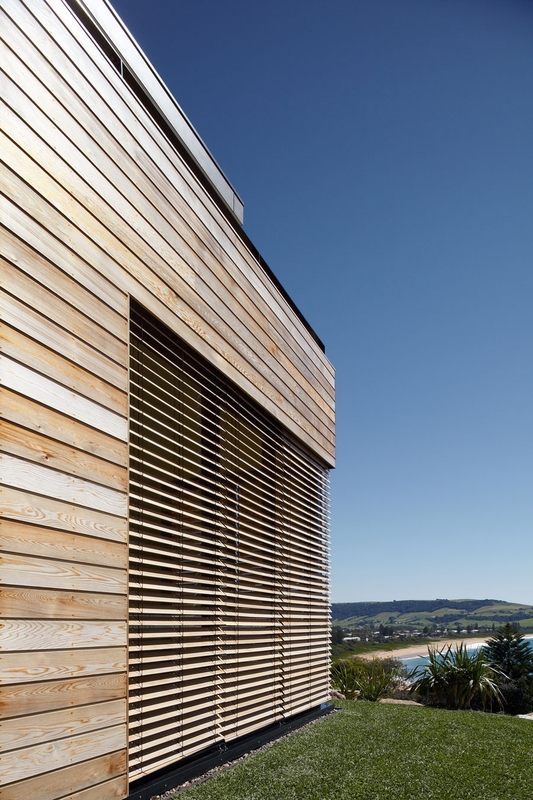 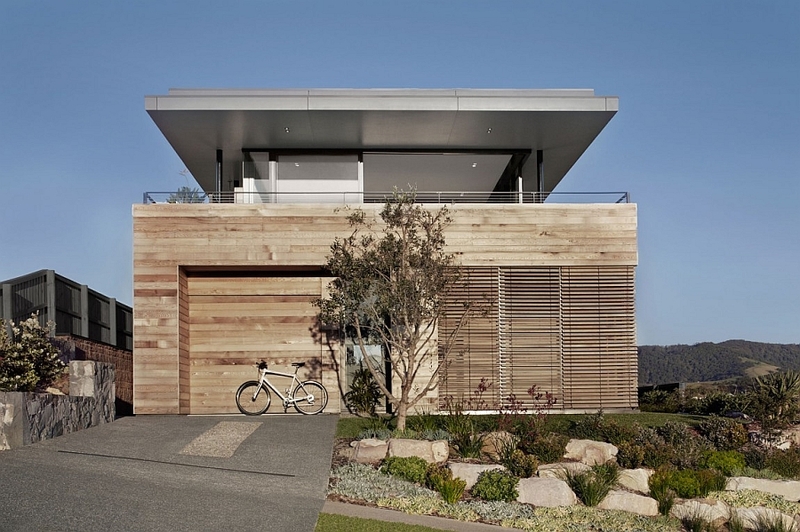 While the silhouette of Lamble Residence is clean and simple, its wooden cladding gives it a sense of exclusivity while reinterpreting classic beach house appeal. 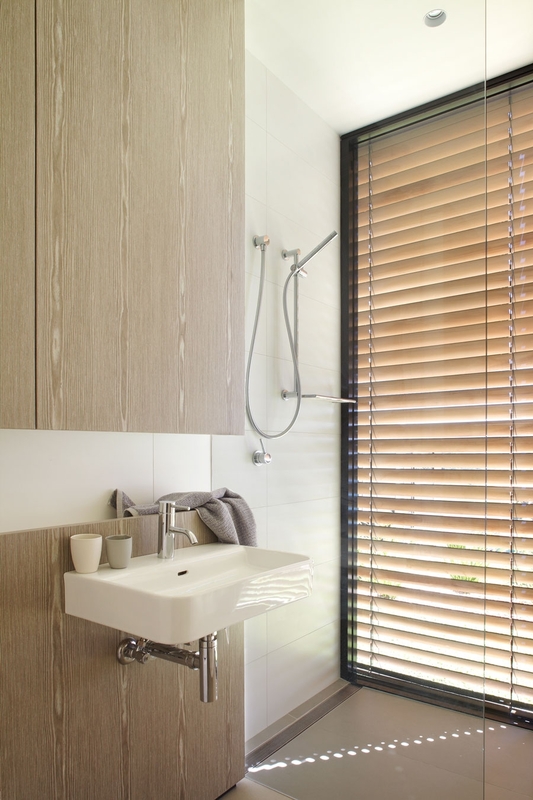 The intricate wooden shell also gives those inside ample privacy and offers cool textural contrast. 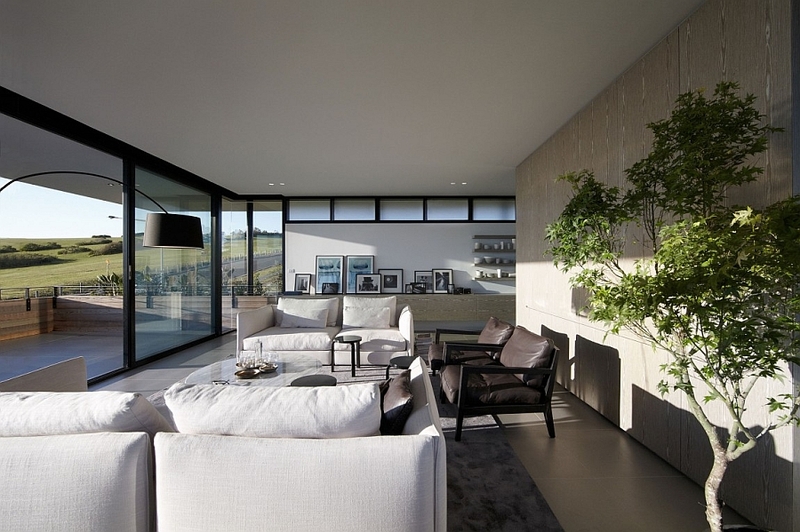 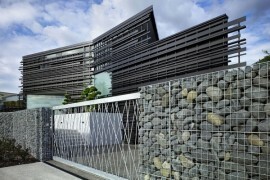 Stone and glass largely dominate the interior of the house, with a neutral color palette taking over.